Graham is a 2nd degree black belt under the legendary Braulio Estima, and head instructor of Gracie Barra Northern Ireland. Graham has been training Brazilian Jiu Jitsu for 20 years now, and has competed in both MMA and BJJ tournaments. 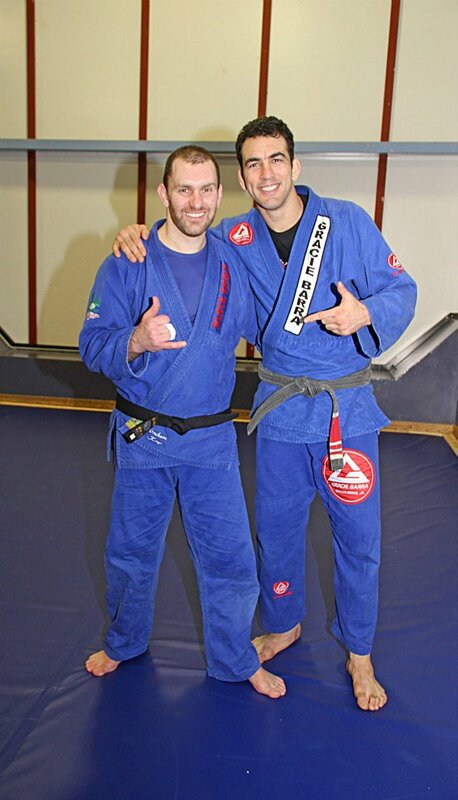 He is Northern Ireland’s first BJJ black belt. Graham’s teaching style emphasies the fundamentals of Jiu Jitsu, focusing on posture and pressure to control. His Self Defence knowledge and emphasis on the concepts of BJJ and his understanding of the game is held in high regard by his students and the BJJ community in Europe. He is one of the best Brazilian Jiu Jitsu instructors in Ireland and held in high regard with GB Black Belts in both America and Europe. Graham has studied with the likes of Mauricio Gomes, Roger Gracie, Braulio Estima, Victor Estima, and Renzo Gracie, and even Master Carlos Gracie Jr. himself amongst others. Marty Knocker is our one of our NOGI and striking coaches with competition experience in both Jiu Jitsu and MMA. He is a highly experienced coach with Black Belts in other disciplines. A long time member of GBNI, Jonny Burrows competed in MMA for most of his early career. Jonny focused on the No-GI side of Jiu-Jitsu and is held in high regard for his MMA and No-GI BJJ knowledge all over Ireland. He takes an MMA class at the academy and mainly helps out and often takes the No – Gi class on a Tuesday night. Andrzej Przybylski is one of our competition coaches, a highly decorated competitor who has medaled in competitions around Europe. An Irish ADCC and Irish Gi champion he brings a wealth of competition experience to our team, in both Gi and NOGI. Is the son of Graham and one of the coaches of GBNI. With multiple titles under his belt including, Irish, Scottish and Spanish championships. He has competed all over the world in some of the biggest competitions going including the Europeans in Portugal and even the World Championships in California. He helps bring a competition mindset to all the students that like to compete, and often takes a team away with him wherever he goes. Is one of our Fundamental coaches with a great understanding of the GB1 syllabus. He is highly respected by the members for his patient teaching style and willingness to help the new faces in the club enjoy their new adventures within our Jiu Jitsu school. Purple Belt, Dawn Hynes is a female competitor who takes classes in our women’s only programme, and assists with the Gracie Barra kids programme. Dawn is both an Irish and British champion and is also well rounded in the self defence side of Brazilian Jiu Jitsu. She focus’s on teaching how BJJ can benefit woman and how it can be brought into real life woman self defence scenarios.